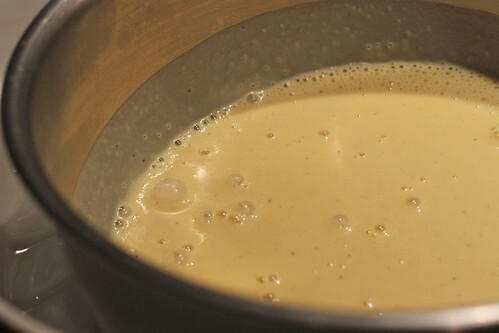 Combine the milk, sugar, salt, peppercorns, saffron and 1 cup of the cream in a saucepan. 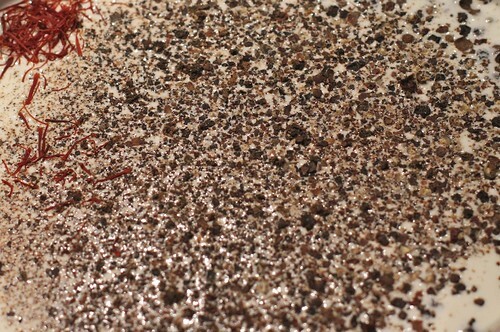 Bring it just to the boil, then remove from the heat and let steep for 1.5 hours. Strain the pepper and saffron out of the milk and cream. Re-heat the milk and cream. 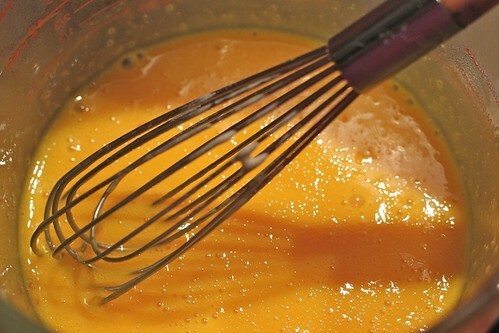 When it comes to a simmer, whisk half the mixture into the egg yolks to temper them, then whisk the egg/milk/cream into the rest of the milk in the saucepan. Cook over medium-low heat until it coats the back of a spoon. Strain the egg/milk/cream mixture into the bowl containing the heavy cream and combine gently; add the ground black pepper. But I am glad to see someone else who eats the ice cream straight from the maker. 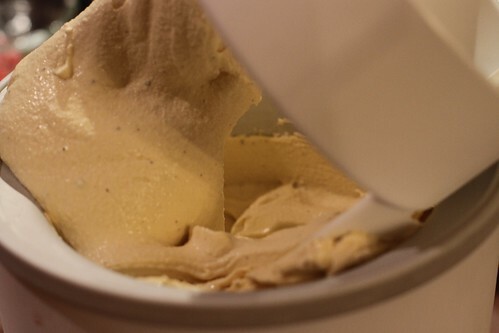 I adore the thicker, richer, soft-serve texture and usually only make a pint serving anyway. 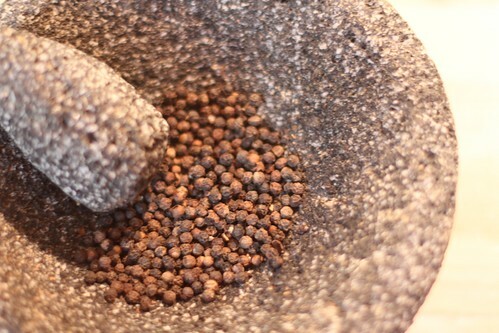 I’m going to have to try some black pepper in my next batch. lari, unfortunately, this ice cream was immediately given away to a lovely neighbor who woek up early on her vacation to give me rides to jury duty. 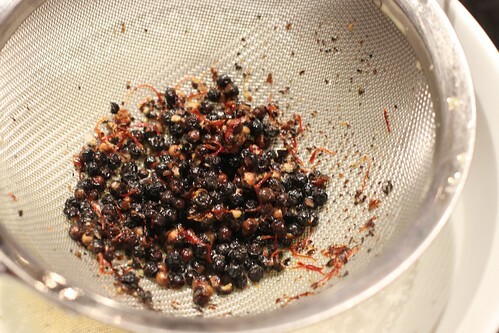 but i did have to do a taste-test, and the texture of this just out of the churner was to die for. cynic, it came our seriously good. you can’t go wrong with david lebovitz. Wow this recipe sounds incredible. What an awesome flavor combination! 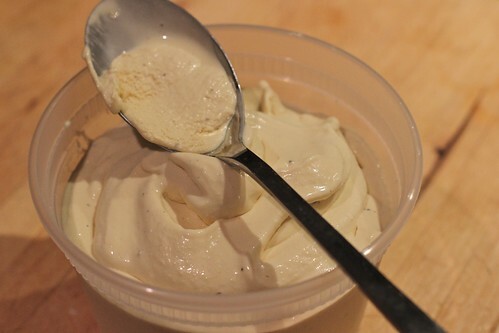 I wish I had an ice cream maker but, alas, I do not. I have high hopes of getting one sometime in the near future.